VIRTUAL REALITY IS an increasingly common part of worker training, from hospitals to coal mines and athletic fields. Now, employers also are tapping VR to help recruit and retain employees with entertaining simulations. 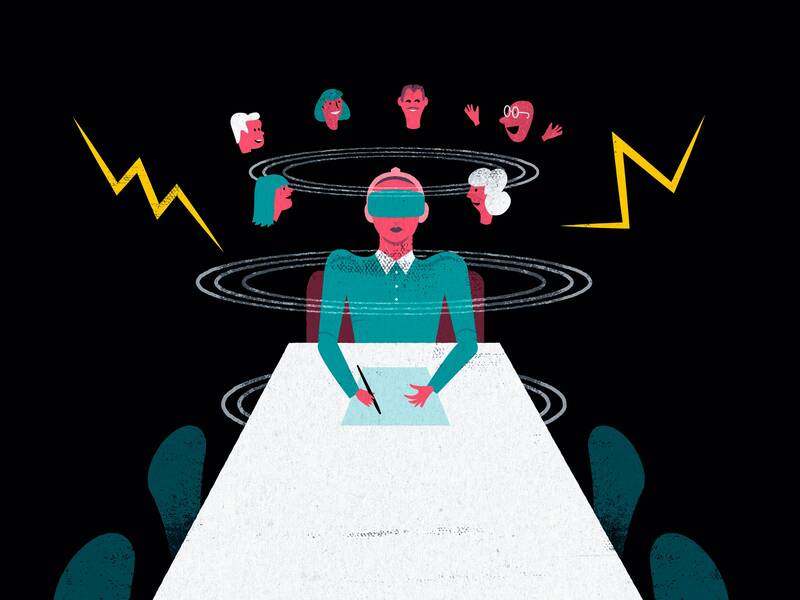 By giving new recruits and old hands immersive yet novel experiences that seem more like play than work, VR can inject enthusiasm and engagement where they may be lacking, helping employees see their jobs in a more positive light. Recruiting and retention are big headaches for restaurants, which have the second-highest turnover rate of any industry. KFC, for example, has begun using a VR training game in which new hires try to escape a locked room by completing the restaurant’s five-step cooking process. Designed in tandem with advertising agency Wieden+Kennedy, the game emphasizes enjoyment as much as learning. “The VR experience is a fun way to celebrate the existing training,” says KFC’s director of brand communication George Felix. Jason Jerald, co-founder of VR consultants NextGen Interactions, says virtual reality’s immersive experiences could especially help in recruiting millennials, who reportedly are less interested in routine work than previous generations. “By utilizing VR, what many perceive as a low-level boring job can now be viewed as working for a cutting-edge technology company,” Jerald says. Walmart, the US’s largest private employer, is equipping all 200 of its Walmart Academies with a VR training programthat immerses mostly mid-level employees in rare scenarios that would be costly to recreate, such as holiday rushes, spills and other disruptions. Senior Director of Central Operations Brock McKeel says employee engagement increased as a result of the training, even among employees who merely watched co-workers participate in the simulation. But he says the retail giant still considers better-trained employees the most important outcome. “VR gives us a practical, scalable way to teach new skills, give associates more confidence in their jobs and make work more exciting and fun,” he says. Using VR to make the night shift at Walmart seem more enjoyable is one thing. When the military adopts similar practices, though, it can raise questions. In May, USA Today reported that the US Navy had begun using VR as part of its recruitment efforts, contributing to a 126% increase in leads. The British Army recently reported a similar effect. The carefully curated VR scenarios may give recruits an unrealistic view of their future jobs. As USA Today put it, the training allows the military to “downplay the very real dangers and risks that members of the armed forces face.” A Navy spokesperson did not comment. To be sure, all recruiting and training materials, including traditional video, tend to accentuate the positive. But the immersive nature of VR means that it can make a stronger, more lasting impression on recruits and employees. “The idea is immersing your future employee in the job,” says Tuong H. Nguyen, a principal research analyst at IT advisory firm Gartner. VR “provides a more dynamic view of what the job is like.” He compares the experience to the difference between reading about or seeing a film of a sunset and seeing a sunset first-hand.